Here’s the architect’s rendering of the finished project. The 20 residential condo units will consist of a mix of 1 bedroom, 1 bedroom and den, and two bedroom units. The top floor penthouse will feature studio spaces, each with a private roof terrace. Ten parking spaces will be provided. The 5,000 square foot first floor of the building will feature two retail spaces. The building is across the street from the popular beer garden, The Brig. Hank’s, 701 Wharf Street, SW: new alcohol beverage restaurant license. Shake Shack, 975 Wharf Street, SW: new alcohol beverage restaurant license. InterContinental Hotel, 801 Wharf Street, SW: new alcohol beverage restaurant license. Kaliwa, 751 Water Street, SW: new alcohol beverage restaurant license. Anthem, 901 Wharf Street, SW: new alcohol beverage restaurant license. Cantina Bambina, 960 Wharf Street, SW: new alcohol beverage tavern license. Brighton, 949 Wharf Street, SW: new alcohol beverage tavern license. Capital Yacht Club, 800 Wharf Street, SW: [changed location} new alcohol beverage multipurpose facility license. La Vie, 88 District Square, SW: new restaurant alcohol beverage license. Marinai, 20 and 40 Pearl Street, SW: new restaurant alcohol beverage license. Protests: “Presidential” LLC, t/a TBD: 1237 1st Street, SE & Potomac Distilling Co.
Amplified Sound at Greenleaf Community Center – July 15. Presentation on Randall School Development – Brant Snyder. Eye Street Reconstruction – South Capitol – New Jersey Avenue. Forest City Zoning Text Amendment for The Yards West. ANC6C Alcohol Beverage Licensing Committee meets at 7:00pm, Kaiser, 700 2nd Street, NE. Ethiopic Corp d/b/a Ethiopic Restaurant 401 H Street, NE, substantial change application for Retailer’s alcohol beverage restaurant license. Police Service Area (PSA) 104 meets at 8:00pm, at Sherwood Recreation Center, corner of 10th and G Streets, NE. ANC 6B meets at 7:00pm at Hill Center. ONXO, 525 8th Street, SE (Phase 1 Building), Substantial Change for Hours (open at 10 am) of a Class “C” Tavern License with a Cover Charge Dancing Entertainment Endorsement. Stipulated License Request. Chi-Ko, 423 8th Street, SE, New Class “C” Restaurant License. Stipulated License Request. 818 Potomac Ave., SE; Historic Preservation Application – concept/construct new four-story building. 418-420 7th St., SE; Historic Preservation Application – proposed condo conversion. 716 16th St. SE; zoning adjustment to expand an existing accessory structure for residential use in the RF-1. 226 Kentucky Ave., SE; Historic Preservation Application – 3rd Story addition to existing flat. 1349 South Carolina Ave. S.E., zoning adjustment Construct a three-story rear addition; Application for a special exception from the rear yard requirements to construct a three-story rear addition in the RF-1 Zone at premises 1349 S. Carolina Ave. S.E. 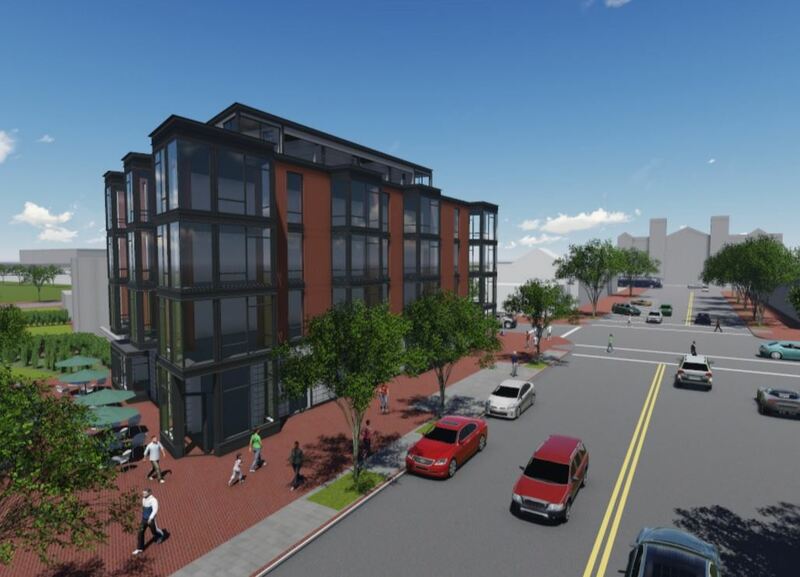 418 New Jersey Ave., SE; Historic Preservation Application – concept new building. 400 D St., SE; Historic Preservation Application – concept/construct 5 new townhouses. Police Service Area (PSA) 104 public meets at 7:00pm, Sherwood Recreation Center, Corner of 10th and G Streets, NE. Southwest Library Community Meeting at 7:00pm, in the Southwest Library, 900 Wesley Place, SW. Presentation by Perkins+Will and Turner Construction on the new Southwest Library to introduce the design team for the new Southwest Library, discuss the project schedule and solicit ideas from the public. The Library will seek community engagement throughout the design process including meetings, surveys, focus groups and online feedback. If you are interested in participating in a focus group, please contact Martha Saccocio at martha.saccocio@dc.gov. Visit https://www.dclibrary.org/newsouthwestlibrary for more info. Ethiopic Restaurant, 401 H Street, NE, occupancy increase, 47 to 71 patrons. 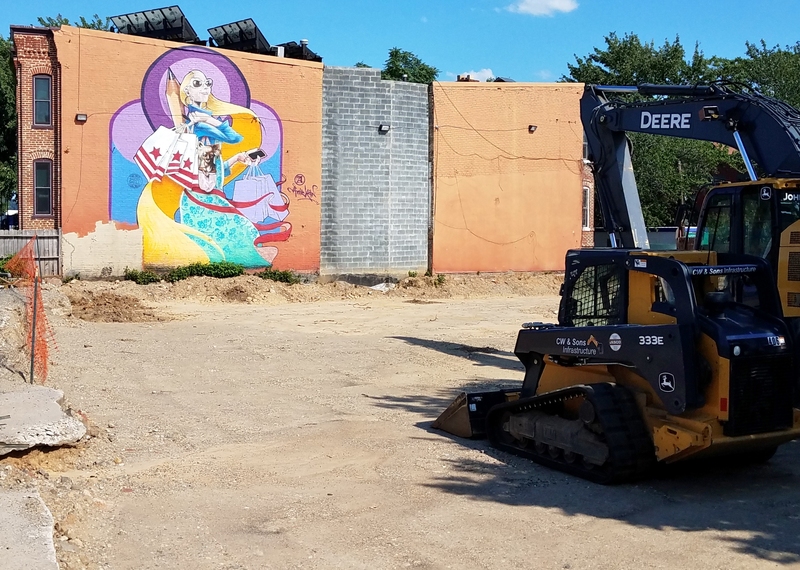 New Zipcar spaces—Zipcar seeks four street parking spaces in ANC6C. 45 L Street NE—Public Space application for new mixed-use building: paving, landscape, fixtures. 150 M Street NE—Proposed traffic control plan for a new mixed-use development, closure of westbound lane of M Street after Delaware Street, NE. New York Avenue Streetscape Project. 2 Patterson Street, NE (nonvoting item)—information on forthcoming RFP. additional living space for a single-family dwelling. 501 C Street, NE, MGM Lobby Shop’s revised Historic Preservation application for concept approval, rear addition and façade alteration. 418-420 Seventh Street, NE, Historic Preservation application, concept approval to combine two houses, construct rear and rooftop additions, and construct a building at the rear of the property. Proposed changes to zoning regulations, ZC 14-11D and 14-11E—Zoning relief for “pop- backs” extending more than 10 feet past an adjacent dwelling. ANC6C (Please note that for July only) ANC6A will meet at 7:00 pm at Capitol Hill Towers, 900 G Street, NE. (Photo ID required). Recommendation: ANC6A send a letter of support to HPRB for approval of the creation of a small two story addition at the rear court and the demolition of the existing garage at 210 Tenth Street, NE, pending best efforts to receive letters of support from neighbors. Recommendation: ANC6A send a letter of support to BZA for the application by 1330 Maryland Avenue, NE for a special exception under zoning regulations from the rear yard requirements, and from the lot occupancy requirements, and the nonconforming structure requirements to construct a two-story rear addition to an existing one-family dwelling in the RF-1 Zone on the condition that best efforts are made to obtain letters of support from neighbors. 2. Eastern Market Metro Plaza Redesign Update. Eastern Market Metro Community Association is sponsoring a community meeting at 6:30pm, at Southeast Library. Ward 6 Councilmember Charles Allen will brief the community on the status of the Plaza redesign and other community issues. Let’s get these kinds of changes under control NOW—your block may be next! The ANC meeting is THIS Tues., July 11, 7pm 2017 at the Hill Center Old Naval Hospital 921 Penn. Ave., SE DC Center. – Support more and more specialized retail. – Increase the tax base for schools (and the participant base for things like Sports on the Hill). – Bring new faces and voices to the neighborhood. – Expand and modernize the neighborhood’s housing stock. – Allow more people to share and live in our great neighborhood. I’m thrilled to see all of the great infill happening across the Hill and would like to see more of it. Let’s be done with the “You kids get off my lawn!” attitude and take an open-minded and optimistic approach to change. 3) It doesn’t look ugly as sin, like the rendering in this photograph. WHY do all new condo buildings look uniformly the same? Why can’t architects take some inspiration from the existing graceful architecture on the Hill?